With the upcoming new school year comes new changes — whether it be new classes, a new cafeteria or new leaders — and ASB is no exception. On March 6, students voted for new ASB officers for the 2019-2020 school year to lead them in bringing about positive change in the Lynbrook community. 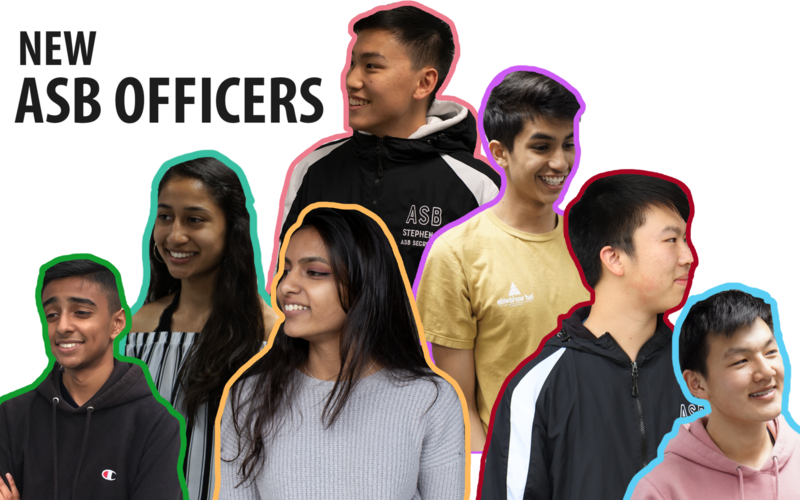 The seven newly elected ASB officers will have the responsibility of bridging the gap between ASB and the student body, planning schoolwide and district-wide events, handling the club review and maintenance process and more. To increase transparency about their plans to improve communication with the general student population and to diversify ASB to make it more inclusive and different, the ASB officers for the 2019-2020 school year shared a bit about themselves and their unique goals for transforming Lynbrook into a more welcoming and supportive environment. ASB President Stephen Yang will have the responsibility of working closely with leadership adviser Jason Lee on the ASB class structure, as well as collaborating with other ASB officers and ASB commissions on schoolwide projects such as spirit weeks and Hearts Week. His other duties include directing the Legislative Council and acting as a student ambassador to the PTSA and administrators. Yang was a part of class office his freshman and sophomore year, serving as 2020 Secretary and Vice President respectively, and he is currently ASB Secretary. His experience in both class office and ASB gives him a greater capacity to consider multiple perspectives — both as an ASB officer and as a class officer — when making a decision. 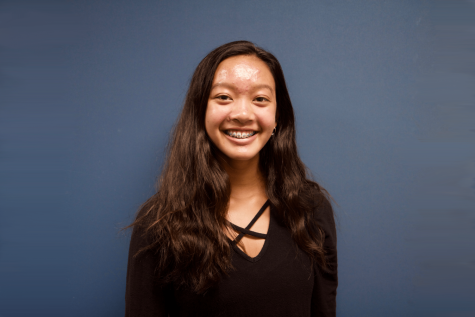 “I have a class officer perspective as well, which kind of gives me an outsider point of view on things, since I was not in the ASB class while I was in class office,” Yang said. Yang’s main goal for the 2019-2020 school year is to stress the importance of the student input campaign, which allows students to submit their ideas on how to improve the school. He plans on expanding it by working to give students more opportunities to provide feedback, through surveys as well as thorough consideration of what they say. He is most excited about working with others in the upcoming school year, whether it be Lee, his fellow ASB officers or the student body as a whole. Junior Andy Li has many roles: he is a talented soccer player and runner, an avid dancer in Homecoming, Silsilay and JUMP and most recently, one of the ASB Vice Presidents for the 2019-2020 school year. Li attributes his skills in public speaking and decision-making to his experiences as a teacher and public speaking officer at Silicon Valley Youth, a student-run nonprofit, and as an ASB Community Link commissioner this past year. As he steps into the role of ASB Vice President, Li hopes to use these skills to implement several changes, such as a new bi-yearly club review process to reevaluate the quality and impact of clubs on campus. Li also plans on shifting the focus of ASB to avoid the repetition of activities and establish a more open and creative curriculum for the ASB class. One of Li’s fundamental campaign promises is to “pop the bubble”: in other words, to get people to step out of their comfort zones by making the environment at Lynbrook less cutthroat. Even if such change cannot be achieved in just one year, Li believes that future ASB officer teams can continue working toward that change. Junior Aneesha Nema serves her community in various ways: as a Girl Scout, an Explorabox member and the 2019-2020 ASB Vice President. At Miller Middle School, Nema took leadership and was on the Student Site Council, and in high school, she joined the Social Commission of ASB for her sophomore year and was then elected as Intradistrict Representative her junior year. As a current ASB officer, Nema has gained valuable connections meeting people in ASB from countless schools or the people she has met while campaigning. Along with Yang and Li, Nema will be responsible for handling new clubs that are applying to get passed, as well as developing a new curriculum for the ASB class. Like several of the other ASB officers, Nema wants to focus on improving inclusivity and outreach by establishing a platform which would allow students to voice their opinions. She is also hoping to implement different projects that would promote the interests of everyone on campus, such as a campus beautification project in which ASB would work with art students to paint a mural or beautify the campus in another way. As an IDC Representative for this past year, Nema has not gotten many chances to focus on how to make Lynbrook more inclusive for all students, as she has been focusing more on improving communication between all five schools within the FUHSD. However, as Vice President for next year, she is eager to focus her attention and hard work on Lynbrook. Although junior Priyanka Pereira is gifted in her love for opera singing, natural flair for puns, talent in photography and passion for baking, one of her newest roles for the 2019-2020 school year will be as ASB Treasurer. Pereira started off in ASB only one year ago as a ASB Recognition Commissioner, however, her limited experience compared to the rest of the officer team did not stop her from doing what she loves to do: connecting her community and observing the direct impact her projects have on others. Based off her positive and outgoing personality, it may be hard to believe that one of Pereira’s greatest fears before joining ASB was putting herself and her work out for everyone to see, however, facing these fears has allowed her to grow as a person as she has talked to different people and has learned to push her ideas forward. Pereira has several changes she hopes to bring about, her main goal being to portray ASB as more accessible. Pereira wants to serve as a positive influence both as an individual within the Lynbrook community and as an ASB officer in the class itself, in which she plans on adding more to the class curriculum to emphasize the importance of being less exclusive and more approachable. Sophomore Michael Zhao’s leadership journey began at Miller Middle School, where he served as Secretary and President. He then became the Class of 2021 President and has led the officer team through events such as Homecoming and rallies during the past two years. This year, he realized that he wanted to bring his skills and countless experiences in class office to a higher level to impact the general student body. Zhao’s unique leadership style, which has allowed him to garner and maintain support, is the result of his ability to develop personal connections with the students he represents. One of his defining leadership qualities is how he values the voice of students, which is shown in his belief that ASB should be focused on representing student input. 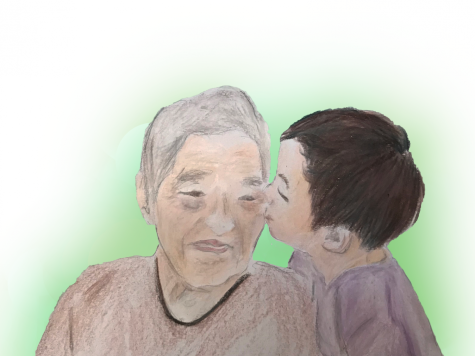 One thing Zhao wants the Lynbrook community to know is that he is always open to listening the the ideas of other students and simply getting to know them. As one of the IDC Council Representatives for the 2019-2020 school year, junior Akhil Aggarwal will have the duty of representing Lynbrook within the FUHSD as a whole. 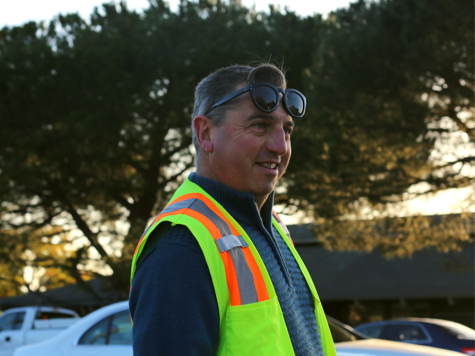 From his many years of leadership experience, Aggarwal has developed a strong passion for creating change within his community and saw ASB as the perfect opportunity for him to help Lynbrook grow and connect more closely with other FUHSD schools. Although Aggarwal will have important responsibilities specific to his role as an IDC Representative, including reporting statistics about Lynbrook students to the Student Board of Trustees, he also has much bigger plans in mind — he wants to make his mark on ASB and enact change that will last for years to come. Like several other ASB officers, Aggarwal wants to focus on changing ASB to differentiate it from past years, which he plans on accomplishing through increasing the diversity of the personalities of people ASB. 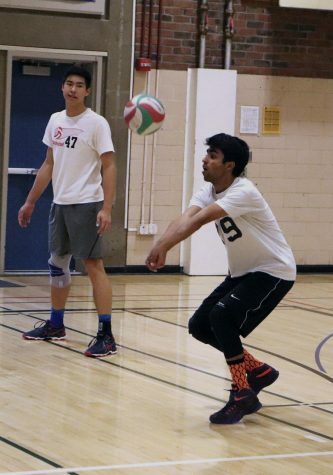 “In order for the public perception of ASB to change, and in order for people to actually enjoy ASB events, it’s important that we mix things up by giving people who haven’t always been given the opportunity to express their ideas a chance,” Aggarwal said. Although he has faced various challenges in the past, including having to resign from class office his sophomore year, Aggarwal has continued to persevere by focusing on his love for leadership and making a difference. For the upcoming school year, Aggarwal is looking forward to seeing the changes he envisions come to fruition and leading Lynbrook to success in district-wide events such as IDC Fantastics. Sophomore Kanav Tirumala’s campaign for 2019-2020 IDC Representative consisted of three promises: diversify ASB, make ASB more approachable and create new events. Formerly a Public Relations and Community Link Commissioner, he has seen issues between ASB and the student body. Tirumala wants to break down the image of a “typical” ASB commissioner: someone outgoing and extroverted. Tirumala’s plans for the 2019-2020 school year also include creating a new event for all of the FUHSD schools to attend besides IDC Fantastics. 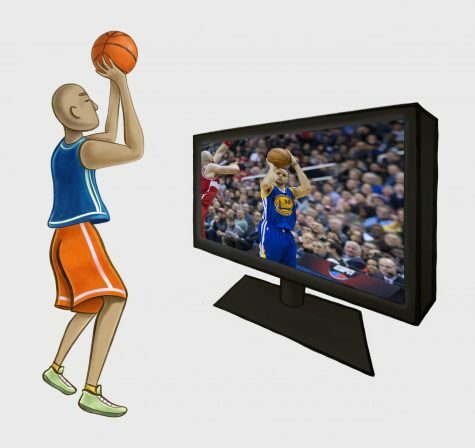 He believes that instead of hosting annual events that have less participants, the time and the money could be used on more exciting projects for more students. Tirumala is most excited to lead the new ASB commissioners, allow ASB to branch out and better represent Lynbrook to the FUHSD.